Manchester City welcome Chelsea to the Etihad Stadium on Sunday, hoping to make a major statement in the Premier League title race. Will the Citizens return level on points with Liverpool? This post contains our Manchester City vs Chelsea betting preview with betting tips, predictions, starting line-ups, team news, enhanced odds, bookie promotions and no deposit free bets! Manchester City returned to the top of the Premier League table in midweek with an away win over Everton but they are now three points below Liverpool following the Reds' win over Bournemouth on Saturday. At home Pep Guardiola’s side have won all but 1 of their 13 Premier League matches this season, scoring an absurd 43 goals in the process. As to direct encounters, the Citizens have lost three of their last five Premier League meetings with Chelsea (W2-D0-L3) but they have only twice lost in nine Etihad encounters with the Blues (W6-D1-L2). Kevin De Bruyne and Raheem Sterling look poised to return to the starting XI after being rested at Goodison Park while Leroy Sane's place is in some doubt. Ilkay Gundogan and Bernardo Silva are xpected to retain their starting berth after impressive performance in recent weeks. Sergio Aguero is favourite over Gabriel Jesus for the central striker berth, altough the Argentine has started the last tow games. Danilo, Fabian Delph and Oleksandr Zinchenko are the alternatives at left-back if Guardiola wants to move Aymeric Laporte back to centre-half. The likes of Vincent Kompany and Benjamin Mendy remain out. Chelsea answered some of their recent critics with an emphatic 5-0 thrashing of Huddersfield at Stamford Bridge last Saturday. They finished the round in fourth placed 2 points clear of Manchester United and 3 ahead of Arsenal. Prior to that, the Blues suffered a 4-0 defeat at Bournemouth, their third defeat in a row away from home, without scoring a single goal in the process. The Londoners beat the current champions in the reverse match earlier this season when they were 2-0 winners thanks to goals from Kante and David Luiz. Maurizio Sarri may choose to bring Antonio Rudiger back into the line-up after he was left on the bench for last weekend's game. The German is set to replace Andreas Christensen in what would be the only change from the XI that started last time out. This means that Marcos Alonso will get the nod over Emerson Palmieri as left-back while Willian and Mateo Kovacic are favourites over Pedro and Ross Barkley for the right wing and central midfield spots respectively. Gonzalo Higuain will lead the line for the Blues, with Eden Hazard completing the front trio. Callum Hudson-Odoi and Gary Cahill are minor doubts but they should not be involved from the off. Manchester City (4-3-3): Ederson, Walker, Otamendi, Stones, Laporte; Fernandinho, De Bruyne, Gundogan; Sterling, Bernardo Silva, Aguero. Chelsea (4-3-3); Kepa; Azpilicueta, Rudiger, David Luiz, Alonso; Jorginho, Kante, Kovacic; Willian, Hazard, Higuain. Looking for the highest odds on Manchester City vs Chelsea? Here at BetAndSkill.com you'll always find the best prices on all the Premier League fixtures we preview. Click on the 'Bet' button to take advantage of the best prices on the 1X2 market! Need bigger odds on this match? Visit our today's price boosts section! Get 25/1 Man City to beat Chelsea with Betfair! Get 100/1 Man City to beat Chelsea with Betfair! New Customers can get Chelsea at an enhanced 100/1 to beat Liverpool. Max Stake £1. Winnings paid in free bets, valid for 7 days, only deposits with cards/Paypal count. Exchange and multiple bets excluded. T&C’s Apply. 18+|Gamble Aware. BetAndSkill's professional punters have taken a closer look at this game and the following are the 4 recommended bets selected by our tipsters. Feel free to bet on singles or build a special accumulator by combining all or many tips via a "request a bet" feature. Learn here how to request your own odds. If you’re new to betting, a good place to start is our Betting Guide hub, a collection of the best tutorials and betting strategies that will help you improve your skills. Looking for more free predictions on today's matches? Our free football predictions and match result bets diversify across a number of leagues and competitions. Please visit our Today's Football Tips and BTTS predictions! Why not check out some of our best no deposit offers or free bets and combine them with our free picks on Man City vs Chelsea and get your journey started today?! Follow us on Twitter to have a priority lane for the best betting promotions. Get 30/1 Man City to beat Chelsea at BetVictor. Max bet £1! New Customers only. Place a maximum £1 bet on Manchester City to win Match Betting - 90 mins. If it wins, get the enhanced odds paid out as free bets; cashed out bets excluded. 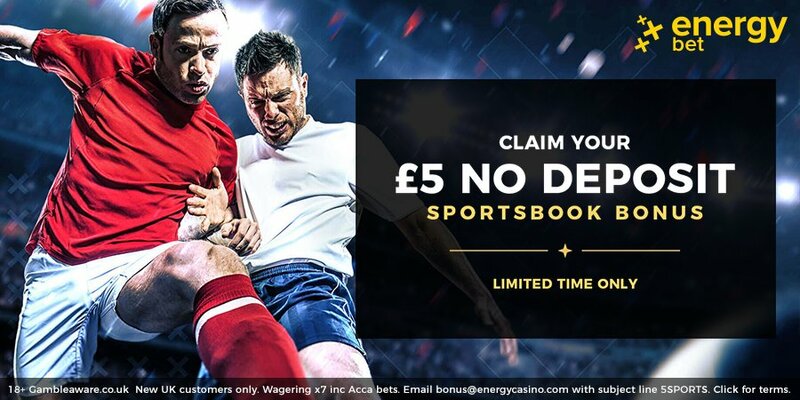 Offer valid from 09:00GMT on Saturday 9th February 2019 until 16:00GMT on Sunday 10th February 2019. Credit or Debit card only, minimum £5 deposit. Geographical Restrictions. T&Cs Apply. "Manchester City v Chelsea Predictions, Betting Tips, Lineups & Odds (Premier League - 10.2.2019)"